(Omaha, NE) — The big reveal is here! Stern PR Marketing™ just completed a major Omaha Website Design overhaul for long-time client Snell Heating & AC. Today the website shines even brighter. As you navigate through it, you will notice a better overall look & functionality – which makes it one of the area’s best Omaha HVAC websites designed by Stern PR Marketing™. “We also completed a series of mini-videos, a new catchy Commercial, rewrote the content, updated a new coupon, created an online sign up option and much more,” notes Susan Stern, an Omaha Website Design firm and Marketing Consultant. Stern PR Marketing’s Omaha Website Developer Austin Scott was able to manipulate the template code to include these great elements to Snell Heating & AC’s website appearance. We added a homepage contact form, placed a phone number underneath the logo – all ways that make it easy for the customer to reach the Omaha HVAC company – immediately. Susan Stern has been a long-time provider of design services and Omaha Marketing Firm Consulting for Snell Heating & AC, starting with the logo in 2004. When the Omaha HVAC Company needed a new website, they come to Susan. “To keep costs low, I scoured professional website templates worldwide and found the perfect fit!,” notes Susan. Did you know? Most Omaha website developers are technical only. 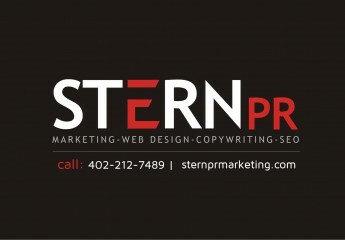 They are not professional Omaha copywriters with a strong background in broadcast TV/Radio writing – like Susan Stern. So, what you get from most Omaha website developers is stale copy, to be candid. That’s not superior name-branding for your Omaha company image,” remarks Susan Stern, “Stern PR” an Omaha Marketing Consultant.